Iraq Britain Business Council (IBBC) has announced that Al Maseer Insurance Company has joined the Council. 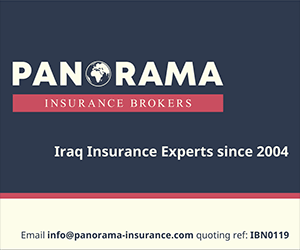 Founded in 2011, Al Maseer provide a range of insurance products covering the key sectors in Iraq: construction insurance, energy insurance, agriculture insurance, health insurance, marine insurance, motor insurance, property insurance. Chairman and co-founder, Arak Fadhil Hameed Al-Bayati, said the company is currently researching special cover for farms, loss of profits after a fire, and professional indemnity.